Mr Banks we have found you! 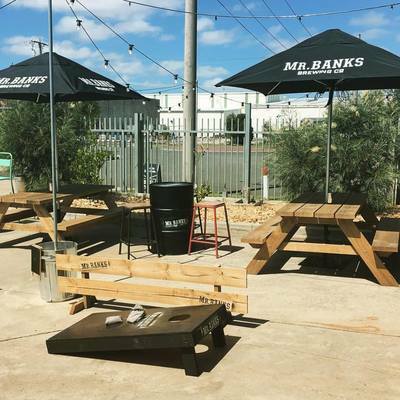 Hidden away on a Seaford industrial estate, about a 10 minute walk from Kananook Station on the Frankston line, Mr Banks awaits you. 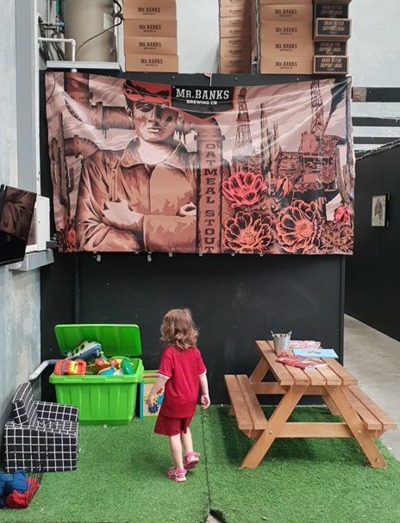 A converted warehouse with ample space and parking, this cosmopolitan jewel brews its own range of ales that are all made on site. 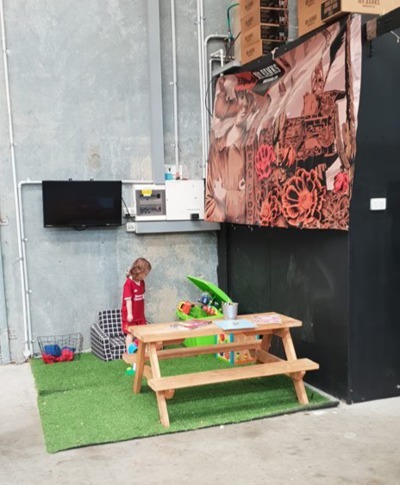 Miss 3 set up camp in the play area, which had a range of toys and a child's small picnic table. 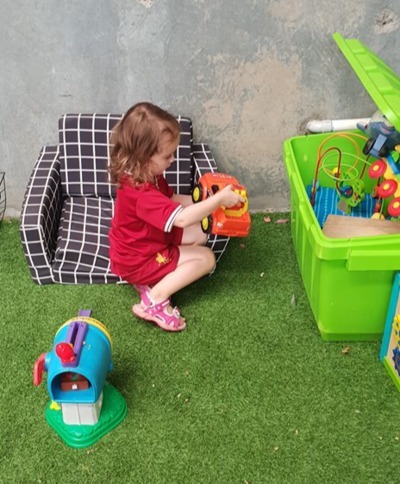 This gave her her independent playtime while still under the watchful eye of mum and dad. Outside there is a basketball hoop, which I'm not sure if this is for the kids or the kids at heart? However, everyone is welcome to dribble (the basketball not the beer)! There was also a pool table and a trendy food hut serving nachos and tacos that smelt delicious though I am still yet to try. I guess the G family will simply have to return to check them out. I'm sure Mr G and Miss 3 won't have any objections. When: The Taproom is open Fri 3 - 9pm, Sat 12 - 8pm, Sat 12 - 8pm, Sun 12 - 6pm.